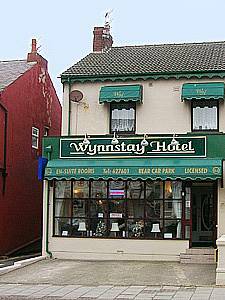 A very warm welcome awaits you at the Wynnstay Hotel offering a relaxed and friendly atmosphere and commitment to quality. The Wynnstay Hotel is ideally situated close to the famous Blackpool Tower, Winter Gardens, Shops, Promenade, Piers and all attractions and amenities Blackpool has to offer. Open all year, we welcome, couples, families and senior citizens who are offered discounted terms April – June. Mixed groups are accepted by prior arrangement. Conference delegates and business travellers are also very welcome. For breakfast we offer a selection of cereals, orange juice, full English breakfast, toast, and all the tea and coffee you want to start the day. Our optional evening meals consists of four courses, all with generous helpings of good old fashioned home cooking. (Special diets are catered for by prior arrangement). The Wynnstay bar has been completely refurbished. It is glass fronted for those of you who like people watching, while relaxing and taking advantage of our well stocked bar with a good selection of beers and spirits. The quality of the Wynnstay Hotel bedrooms are reflected in our Visit Britain 3 Diamond rating. 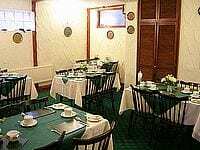 All rooms are en-suite, spacious and tastefully decorated with central heating, double glazing, colour television and unlimited complimentary supplies of tea and coffee. We do not cater for stag and hen parties.There are no single supplement charges. 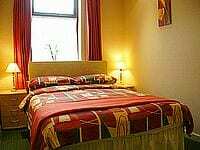 For further details on availability and tariff please call today or visit our website.